A couple of beautiful prints sent to me by John Rawlings. This is the Lee & Brinton design for Idaho, launched by Nilson & Kelez in Seattle in 1912. Idaho was 78′4″ x 19′5″ x 9′3″ and 76 gross tons. In the drawing the engine appears to be a three cylinder, and John reports original power was a Frisco Standard gas engine of 100 HP. 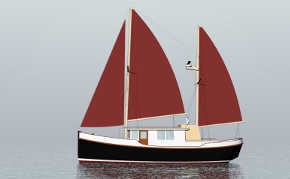 She would carry a 10 man crew to work 6 dories and could load 100,000 pounds of halibut. 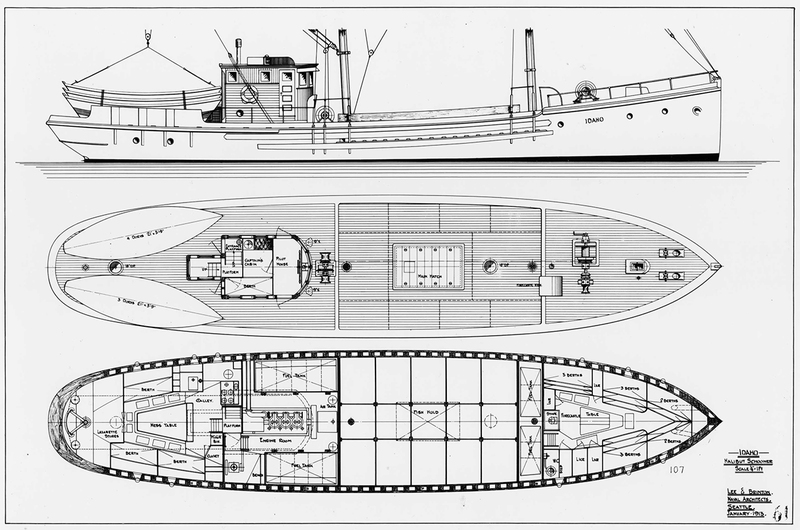 Lots to look at in these drawings, there are 17 bunks indicated, I’ll guess a bunch were used for storage. Most important item in the galley aft is the flour bin, picked out alongside the ladder. Skipper would never leave the wheelhouse, his cabin being the cubbyhole between the wheel and the companionway downstairs. 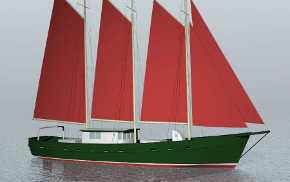 The lines are really interesting, a mix of modern Naval Architecture and sailing schooner. The forefoot is cut away, which was very up-to-date thinking. 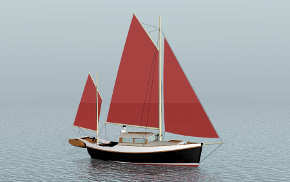 But her bow sections still show the fullness of sailing schooners, as does her midships deadrise. At this same time New England trawlers were flat floored, wall-sided, and hollow bowed motor-vessels. Idaho’s beautifully tapered deckline (in plan) is another throwback to sailing vessels. 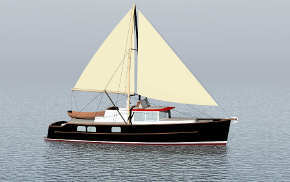 Obviously never intended to sail, aesthetic and seakeeping principals still held sway over her hull form.